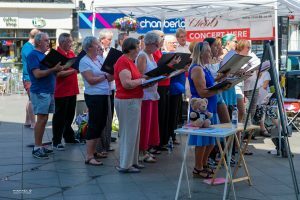 A local choir group based in and around the South Devon area, we can be found at many events throughout the year. Please note, that due to circumstances beyond our control it has been necessary to change the venue for our concert on Monday 10th December, this will now be held at St Pauls, Devon Square, Newton Abbot at 19:30hrs. Any tickets already purchased will be honoured for this change in venue. 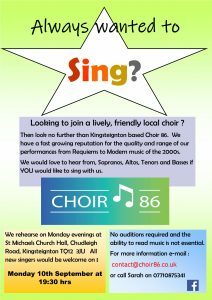 Always wanted to sing ? 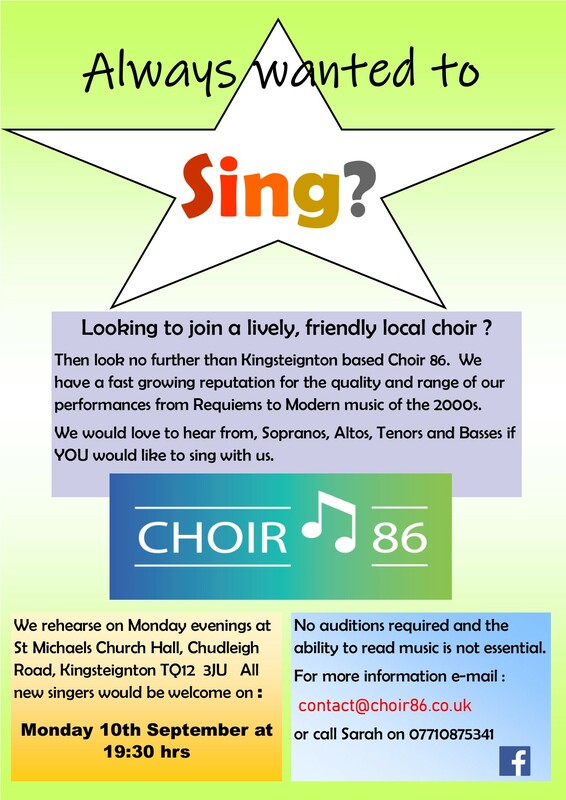 A taster of thing to come ….. Choir 86 in Newton Abbot on Saturday. Join us at one of our concerts this weekend, 13th, 14th & 15th July 2018 details can be found on the events page. Tickets available on the door. Welcome to the new Choir 86 website. We hope you enjoy browsing this site. 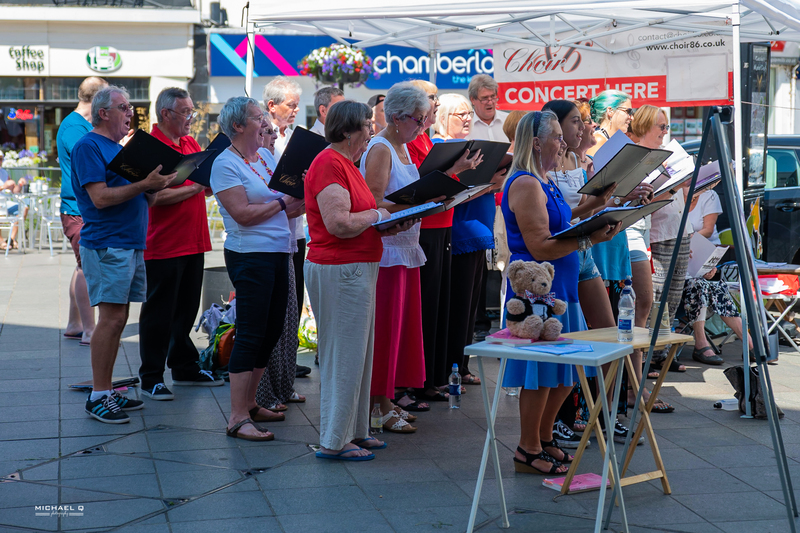 Look up our forth coming events, check out the photos in the galleries, keep upto date with our latest news and opt to subscribe to Choir 86 we will then be able to keep you informed, by e-mail of all relevant details. 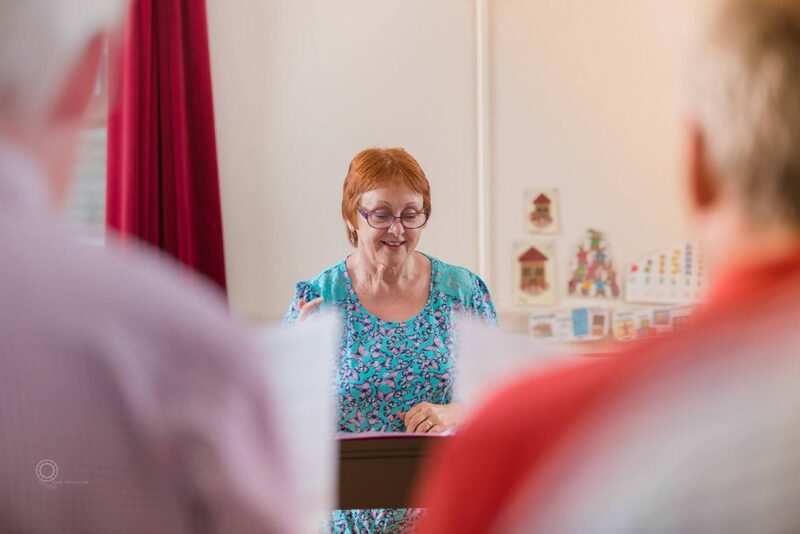 We are delighted to welcome Rosie Penny B.Ed (Music) as Musical Director to Choir 86. ¨ I now have to work diligently on Monday evenings — missing Eastenders. ¨ I have made many new friends and renewed mature friendships — I dislike the word ‘old’. ¨ I have been force fed coffee and cake once a month—thank you. ¨ I am really fortunate to be working with my long term friend —Jean Baldey. ¨ I am having a thoroughly fabulous time every week enjoying the energy and determination of these talented singers. This is the start of something very special, watch this space! Subscribe to our Newsletter to be kept up to date with the latest events.